Fig. 1. (A) Green arrow showing the endoscopy path to the ampulla in normal anatomy. 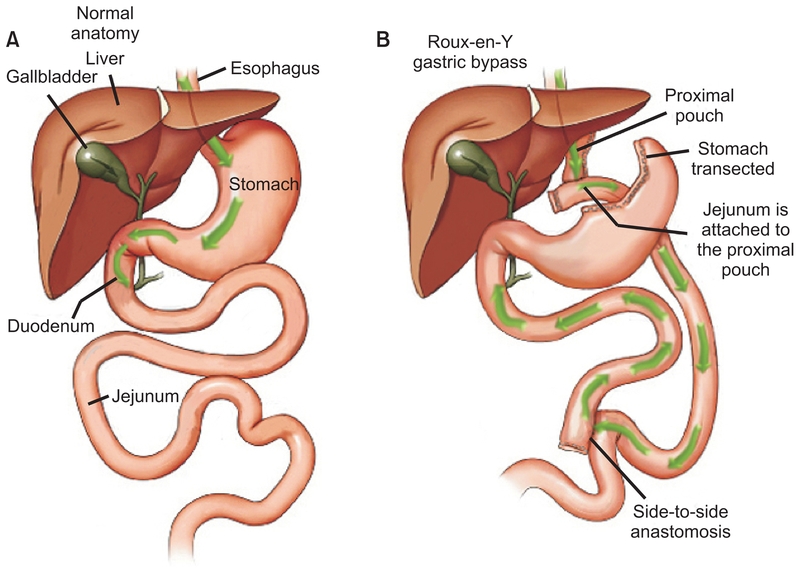 (B) Green arrow showing the endoscopy path to the ampulla in altered anatomy by gastric bypass.